The latest update of "Plants vs. Zombies" on iPhone made a change to one of the most recognizable adversaries in the game. 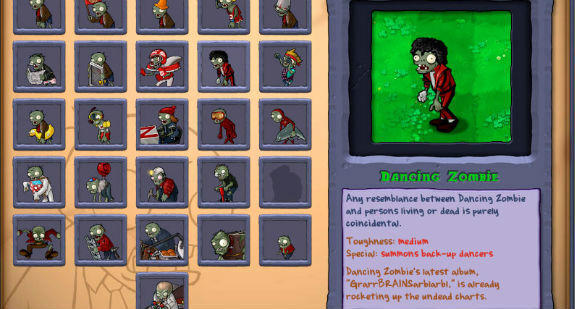 Since the game's launch in 2009, the Dancing Zombie has bared a striking resemblance to Michael Jackson in the "Thriller" music video, complete with red leather jacket, tight, too-short pants and white socks. That all changed with the latest update to "Plants vs. Zombies," as the Dancing Zombie is now disco themed. Why the change? Apparently PopCap heard from the lawyers of Michael Jackson's estate.